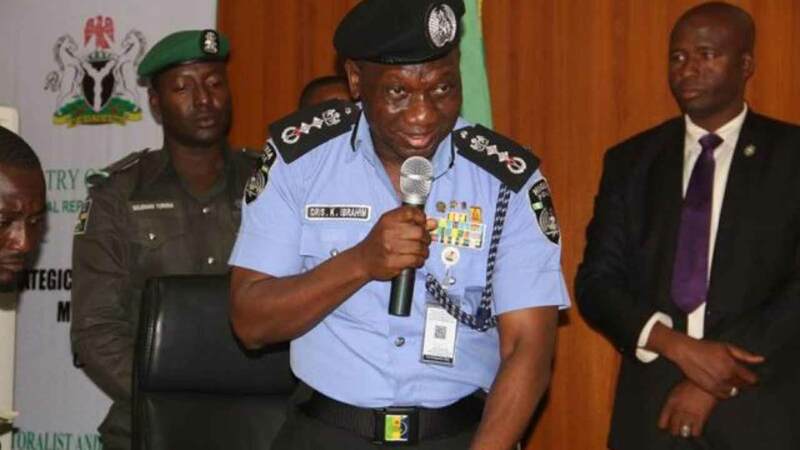 The House of Representatives, on Wednesday threatened to summon the Inspector General of Police (IGP), Ibrahim Idris, if Rep. Abubakar Lado (APC-Niger) arrested by the Special Anti-Robbery Squad (SARS) was not released within 12 hours. The development was sequel to a motion moved under the matters of urgent public importance by Rep. Toby Okechukwu (PDP-Enugu) at the first plenary presided over by the Speaker, Mr Yakubu Dogara. House was briefed that his detention arose out of issues related to the All Progressives Congress (APC) primaries. According to him, Lado had abinitio notified the police authorities of efforts to cause crisis by his opponents. “The House is aware that the invitation of Lado was not done through due process and therefore breaches the Legislative Powers and Privileges Act which requires notification of presiding officer before any member is invited or arrested. “The House is aware of the detention of Lado by SARS. “The House is further aware of his continued detention for the past three days. The action offends the Nigerian constitution and amount to inhuman and degrading treatment,’’ he said. Okechukwu said it was embarrassing that the intervention of the leadership of the House was rebuffed by the police. “The intervention of the House leadership was rebuffed by the Nigerian police ostensibly because it is only the Governor of Niger State, Mr Abubakar Bello, that can give instruction for his release,” he said. Contributing, Rep Nnenna Ukeje (PDP-Abia), who called for his immediate release, said it was disheartening the manner with which the police flouted the law. “If people of this calibre can be treated with such disdain, you can imagine what the 180 million Nigerians go through on a daily basis’’, she said. Rep. Osai Osai (PDP-Delta), who noted that the responsibility of the reformed SARS is to arrest robbery and kidnapping culprits, said the organisation had gone beyond its mandate. On his part, Rep Olawale Raji (APC-Lagos) narrated that members who visited the SARS office where the lawmaker was detained were treated with disdain. “They were very rude to those of us that visited Lado in the detention and so many Nigerians are suffering the same treatment by the police. “The conduct of the Nigerian Police Force, particularly the SARS, is absurd’’, he said. Raji, who called on the House to order the IGP to release their member within 24 hours or suspend further sittings until he is released, said urgent action should be taken. Rep Segun Adekola (PDP-Ekiti) said the situation called for a sober reflection as effort must be made to stop the impunity in the country. He`, therefore, supported Raji’s motion that the House be shut down should the police fail to release Lado. However, the Leader of the House, Femi Gbajabiamila (APC-Lagos), moved that IGP Idris be invited if the police failed to release Lado within 12 hours. Gbajabiamila, who was among the delegation that visited the lawmaker in detention, also described the attitude of the police officers as unfriendly. He expressed concern over the detention of the legislator by SARS, saying ”the responsibility of SARS is embedded in its name; Special Anti-Robbery Squad’’. “They told us his offence was a case of “two fighting“. And we asked where the other person, who is the chairman of the council is, they said he is not here. “They said we should go and see the IG and when we got to his office, we couldn’t see him. They told us the only person that can release him is the governor’’, he said. The lawmaker said if nothing was done, Lado would continue to be in detention even till next week on the pretext of two fighting. “This is impunity and something needs to be done. Our colleague is being harassed as I saw him yesterday. should come to this House tomorrow and tell us why any citizen should be held for three days. “When the offence for which he is being charged with is not a capital offence and should tell us why the other person is walking freely. “The government is being given a bad name and I am sure that the government is not aware of this. It was just some bad and overzealous elements doing this,” he said. In addition, Rep. Simon Arabo (PDP-Kaduna) said for denying their colleague the chance to contribute in the proceedings, he urged the House to charge the case to court. When the Speaker, Mr Dogara, put the question on a voice vote, lawmakers who stood down the suggestion to suspend further sittings, however, gave IGP Idris 12 hours to release Lado or be invited for questioning. The speaker instructed that a letter be given to the House leader who leads a delegation to the IGP. He also directed the Clerk of the House to ensure that the case was filed in court. The News Agency of Nigeria (NAN) reports that Rep Lado and the current Chairman of the Suleja Local Government Area, Abdullahi Maje, vied for the Gurara/Suleja/Tafa Federal Constituency primaries of the APC in Niger State.